Eastern Jungle Gym’s Heavy-Duty Tire Swivel comes pre-greased and ready to use! Our heavy-duty tire swivel is designed to attach a tire swing to a wooden swing beam and allows for 360 degree spinning and tons of fun. Our tire swivel is galvanized, made of heavy-duty steel and includes a grease fitting for regular periodic lubrication. It also features two pre-drilled holes for easy attachment to a wooden swing beam. 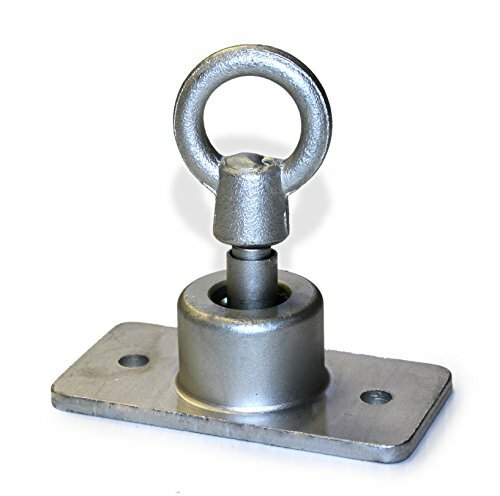 We recommend using thru-bolts or lag bolts to mount our tire swivel; mounting hardware is not included as the size of the hardware will depend on the size of the swing beam that is being used.